Ever since its inception in 2008, the Grandmaster Repertoire series has produced some of the world�s best opening books, but an elite repertoire with 1.e4 has always been missing � until now. 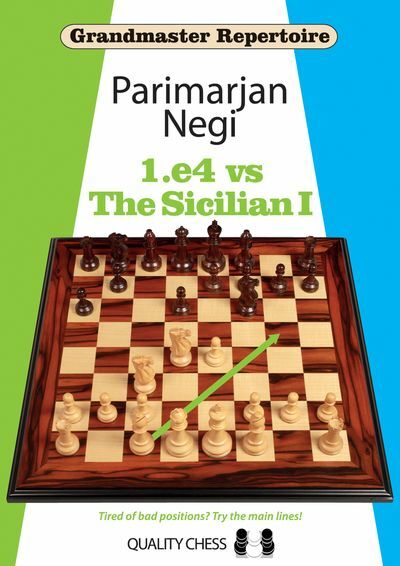 In this, the second volume of the Grandmaster Repertoire � 1.e4 series, Indian superstar Parimarjan Negi tackles the fearsome Sicilian Najdorf, presenting his own world-class repertoire with 6.Bg5. Building on a foundation of tried-and-tested main lines, the author unveils a wealth of new ideas against the Poisoned Pawn and other critical variations, making this an essential addition to the library of every ambitious player. Parimarjan Negi is a former child prodigy who is the second-youngest player of all time to obtain the Grandmaster title. He was Asian Champion in 2012, and played on Board 1 for the Indian team which won bronze medals at the Troms' f8 2014 Olympiad. 225 13. Introduction and 12...Nd5! ?